£35 for 5 people. £40 for 6 people. £45 for 7 people. £50 for 8 people. £50 for up to 8 people p/h for general hire. *A ‘skipper’ is availalbe on all ‘wheelyboat’ rentals for an additional £10 p/h. 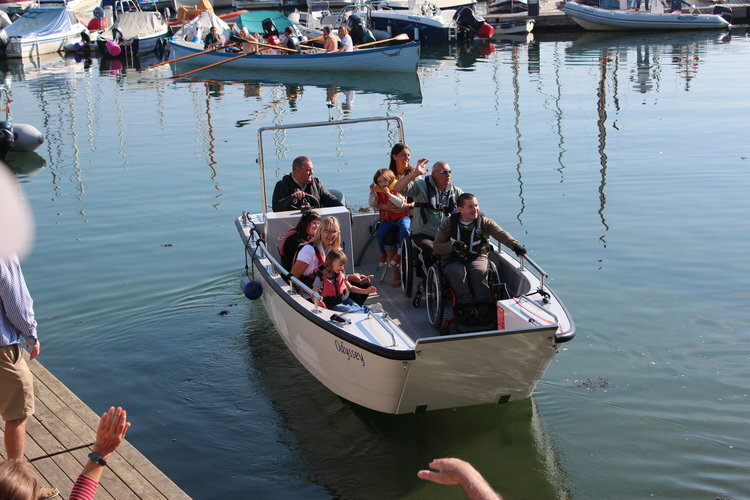 Wheelyboats provide disabled people with hassle-free and independent access to a variety of waterborne activities. They are designed to accommodate disabled people and wheelchair users in particular, easily and safely enabling them to actively participate on the water on equal terms with their able bodied counterparts. ‘Roll-On, Roll-Off’ access flat deck providing access to all corners of the boat, accessible helm or drive-from-wheelchair console, allowing disabled people to drive the boat themselves. Use as a trip boat or small ferry as well as for pleasure boating, angling and nature / bird watching. “I was looking for a surprise fun day out for my family and found this company. Booked a motor boat for three hours and we all loved it to the extent that we all sang “A life on the ocean wave” all day and still are. The day started with a quick briefing on the rules of the waterway and the use of the engine, the people who run the place are lovely and made us feel welcome. 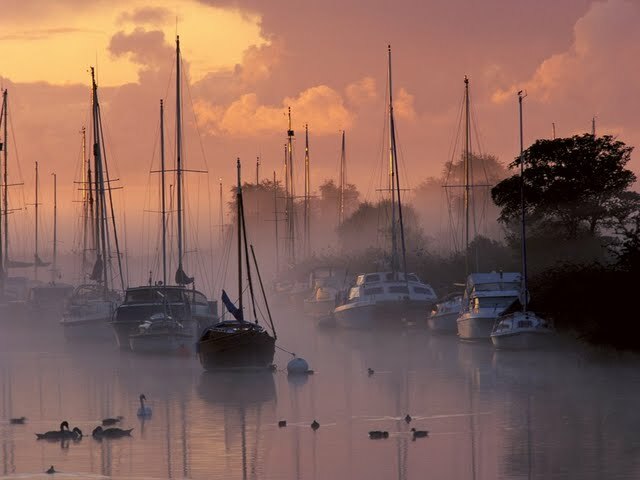 We had three hours and were advised to head up river first which is pretty and take about half an hour before going back and under the bridge towards the busier water towards Poole Harbour… great advise. We took a little picnic to eat on board and the three of us haven’t laughed so much in a long time… we found the private boat owners to be friendly towards us too. To summarise… the owners were lovely, the boat clean and reliable, the setting beautiful, the fun we had was second to none. I’d recommend this to anybody. We’ll be going back. Oooh a life on the ocean wave! Thank you Wareham Boat Hire for a wonderful family memory”. Disabled Access Self Drive Motor Boat. 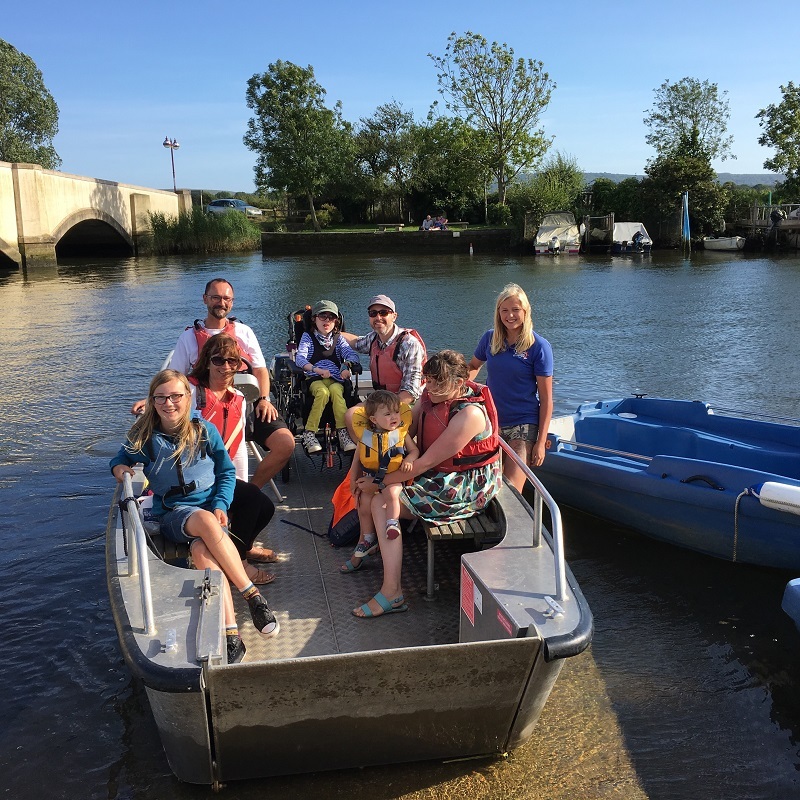 "Our vision is straightforward - open access for disabled people on waters everywhere to meet everybody's needs”. Andy Beadsley - The Wheelyboat Trust. "The staff were very friendly and helpful. The boat was simplicity itself”. "So easy for out elderly relative to walk onto the wheelyboat and enjoy a leisurely trip along the river as part of his 90th Birthday Celebrations. VEry helpful staff whilst booking and on arrival. Look forward to another visit in the future”.